When it comes to inserting symbols in Excel, things can get a bit complicated. You either need to know the keyboard shortcut, or use the methods that are not very straightforward. And there are a lot of symbols that many people need to insert regularly, such as the degree symbol, cent symbol, delta symbol, etc. Note: In this tutorial, I have shown all the methods for the Greek Capital Letter Delta symbol (Δ). You can use the same methods for other delta symbols as well. In this tutorial, I will show you six easy ways to insert the delta symbol (Δ) in Excel (including a keyboard shortcut workaround). The method you use will depend on the type of data you have. Delta is a greek character and unfortunately, there is no shortcut in Excel to insert it. But if you can work with the symbol shown below, you can use a keyboard shortcut. The below symbol is a solid triangle (while a Delta is only a triangle with no filled color). Select the cell in which you want to insert the degree symbol. Press F2 to get into the edit mode. Use the keyboard shortcut – ALT + 30 (you need to hold the ALT key and then press 30 from the numeric keypad of your keyboard). Note: This keyboard shortcut works only if you have a 10 keys numeric keypad in your keyboard. If you don’t have a numeric keypad, you need to enable the Num lock first and then use this keyboard shortcut. A very fast and neat way to get the delta symbol in Excel is to copy it from another place. It could be a delta symbol that you have already inserted in the worksheet or you can copy it from a webpage. Below is the delta symbol that you can copy and paste in Excel. If you only need the delta symbol in a cell (which would have nothing else), you can change the font to achieve this. Enter D in a cell where you want the delta symbol. Change the font to ‘Symbol’. This will instantly change the cell content to a Delta symbol. Note that this method is not suitable when you want to have additional text in the cell along with the delta symbol. Since this method changes the font of the entire cell, anything you enter in this cell will be converted to symbols. This is a slightly longer way to insert the delta symbol, but once you have it inserted at one place, you can just copy paste it to reuse it. Click on the Insert Tab in the ribbon. In the Symbols group, click on the Symbols icon. In the Symbols dialogue box that opens, select the ‘Greek and Coptic’ as Font Subset. Scroll down, find and select the delta symbol (you may have to spend some time spotting it among all the symbols). This will insert the delta symbol in the selected cell. This method is my favorite. Excel has a feature where it can autocorrect misspelled words automatically. 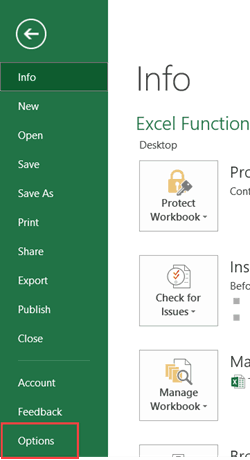 There is already a pre-made list of corrections that Excel identifies and corrects for you. We can use this feature to assign a code to the delta symbol (in this example, I am using DSYM as the code. You can use anything you want). Now, whenever I enter the code in any cell, it will automatically be converted to the delta symbol. In the Options dialogue box, select Proofing. Click on the ‘AutoCorrect Options’ button. Click Add and then OK. This is case sensitive. So if you enter ‘dsym’, it will not get converted into the delta symbol. You need to enter DSYM. This change also gets applied to all the other Microsoft applications (MS Word, PowerPoint, etc.). So be cautious and choose the keyword that you are highly unlikely to use in any other application. See Also: Use Autocorrect in Excel to Save Time. If you want to display the delta symbol before/after a number in a cell, you can specify a custom format to do this. The benefit of this method is that it doesn’t change the content of the cells. For example, if a cell has 17 and you use this method to show Δ 17, the cell value would still be 17. This method only changes the way content of a cell is displayed and doesn’t change the content. See the formula bar in the image below. While the cell shows the result with a delta sign, the cell still has the formula. This technique can be useful when you’re creating dashboards, and don’t want to change the cell content. Select the cells in which you want the delta symbol to be added. Hold the Control Key and then press the ‘1’ key. In the Format Cells dialog box, make select the ‘Number’ tab (if not selected already). Select Custom from the options in the left pane. This will instantly change the format of the cell to display a delta symbol before the numbers. Using custom formatting doesn’t change the value of the cell, only the way it’s displayed. You can use these numbers in calculations (just as if you never added the delta symbol in it). Hope you found the tutorial useful. 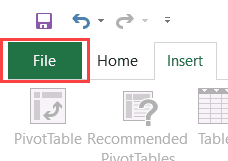 In case you know any additional method to insert the delta sign in Excel, do let me know in the comments section. How to Insert Line Break in Excel. 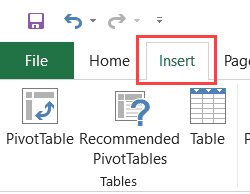 How to Insert Bullet Points in Excel. How to Quickly Insert New Cells in Excel. How to Insert Picture Into Excel Cell. How to Insert Watermark in Excel Worksheets. Insert Cent Symbol in Excel. How to Apply Superscript and Subscript Format in Excel.